WARNING: Spoilers for Season Seven of Game of Thrones ahead. 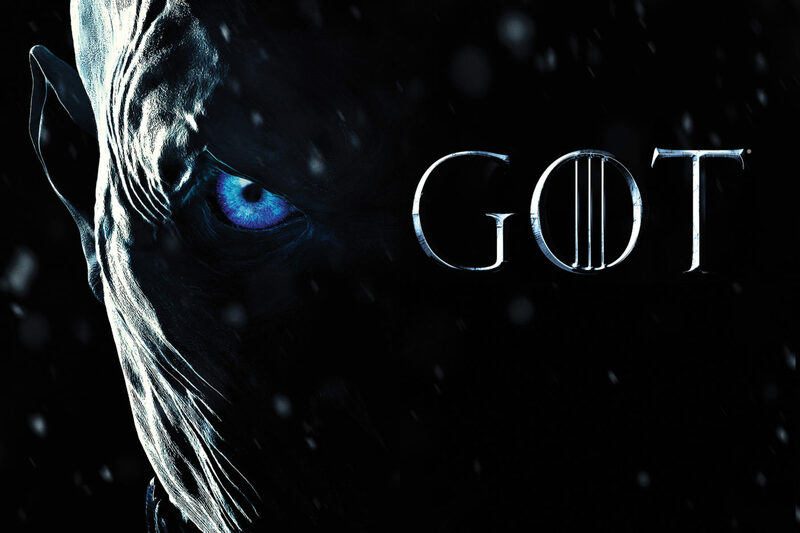 After a longer than normal wait, Game of Thrones returned last night in the wee hours of the morning with ‘Dragonstone‘ an episode that probably wasn’t as explosive as we’d all hoped, but was certainly full of intrigue. Of course, most sensible people will have watched it tonight at 9pm but the Crows here at UNILAD have been condemned to serve the realm, so we sat through the long night and watched it as it aired at 2am. Why did we do this? Well, we wanted to spend all day scouring the episode for all the little dragon eggs and Westerosi factoids you might have missed. Our episode opens where Season Six left off, at The Twins where Arya Stark has just executed the smuggest man in the Seven Kingdoms, Walder Frey. 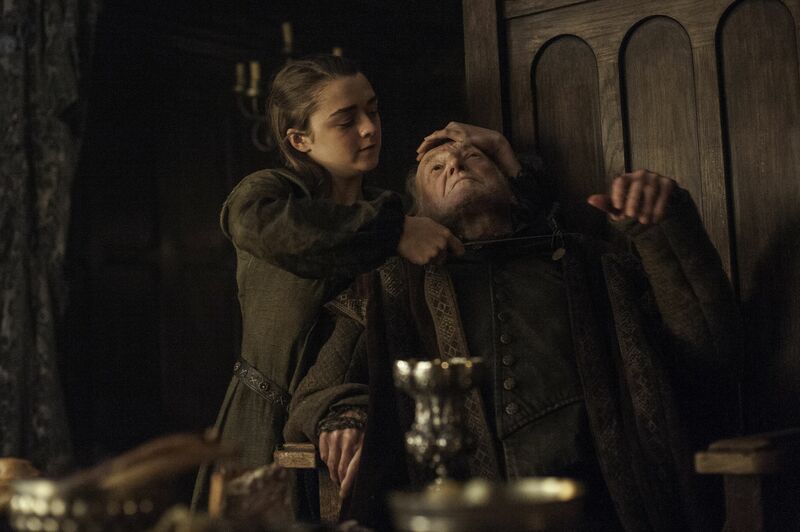 Unfortunately for the rest of the Frey clan, Arya’s bloodlust hasn’t been sated yet and she offs the rest of the fiendish family using Walder’s face and what appears to be the same poison that killed Joffrey back in Season Three. 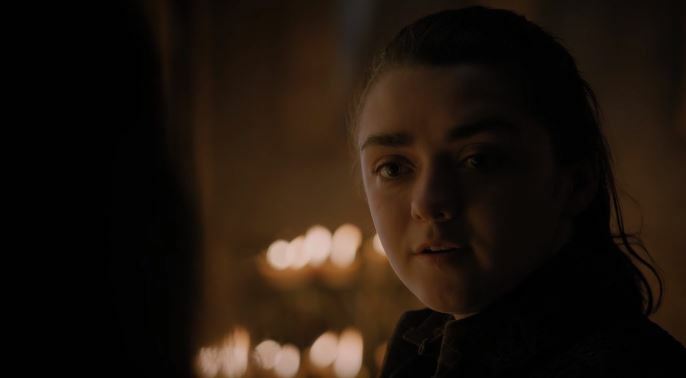 The scene was eerily reminiscent of the infamous Red Wedding, in fact some have called it the Reverse Red Wedding, and really showed how Arya has developed from a lost waif to a hardened supernatural assassin. However, she’s not completely without mercy as she allowed Walder Frey’s wife to live. Admittedly, she probably wanted her dead too but Arya needed someone alive who saw what happened so they’d tell the story and make sure everyone knew ‘The North remembers’. 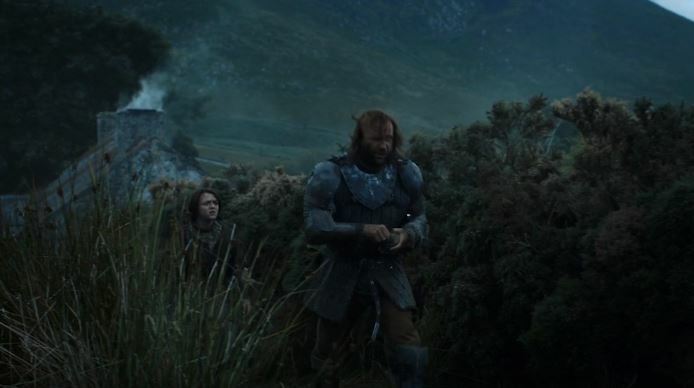 While traveling south, Arya’s conversation with the Lannister soldiers (and Ed Sheeran) also held a significant plot point as one of the soldiers describes wanting to go to King’s Landing to see the Dragon Pits and the Great Sept of Baelor. The Sept was blown to pieces by Cersei but the Dragon Pits have yet to be seen in any episode of Game of Thrones. Which naturally makes you wonder whether they’re building up to a battle scene inside the Dragon Pits at some point later in the series? From there we take a lovely trip up North beyond The Wall where the mute Night King is rallying his huge army made up of the corpses of humans, giants and other fiendish beasts. It’s an interesting scene that hints at the power of the White Walkers, teasing that they can resurrect more than just humans and seemingly confirming the rumour that the Night King may be adding a large winged reptile to his army some time soon. 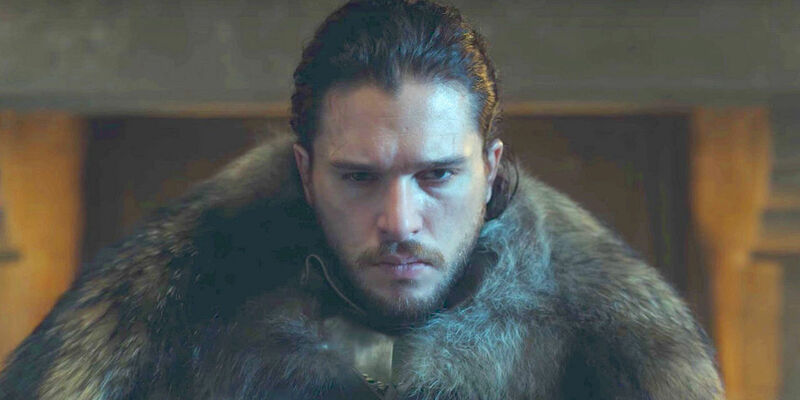 Speaking of the White Walkers, we then cut to the court of the new King of The North, Jon Snow, as he unveils his plan to deal with the walking dead, namely get as much dragonglass (the only substance other than Valyrian steel that can kill them) and arm every man woman and child with it. Unfortunately, it seems the rumours that Jon and Sansa would become squabbling siblings are true, with both divided on how to treat the Northern lords that sided with The Boltons and whether they should be fighting their enemies to the North or the South. 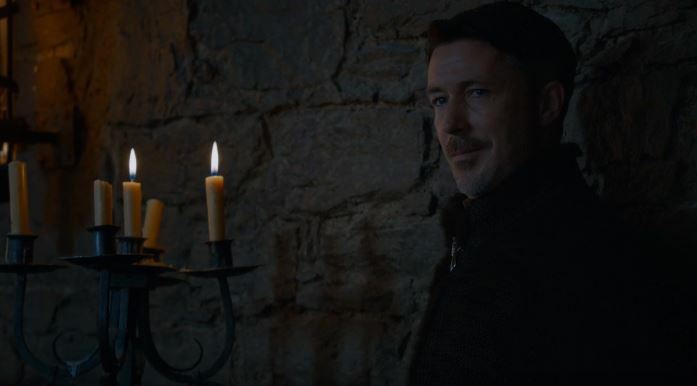 It doesn’t take a genius to know that Peter Baelish, otherwise known as Littlefinger, is constantly scheming. And while he watches Jon and Sansa argue in the Great Hall in front of the northern lords, you can just see the cogs in his mind turning, wondering how he can use their clearly fractious relationship to his advantage. What advantage that is, we’re still not sure. What we do know is that Jon being concerned with the Night King from the north and Sansa being concerned with Cersei from the south, just shows how the great war during the winter will be everywhere. While it’s sad to see the Starks not getting on, it’s nice to see that there’s still drama in the North and sets up the North’s inevitable alliance with Daenerys. The Cersei and Jaime scenes were probably the best bit of Dragonstone. In King’s Landing, Cersei plots the deaths of all her enemies while stood on a huge map of Westeros. 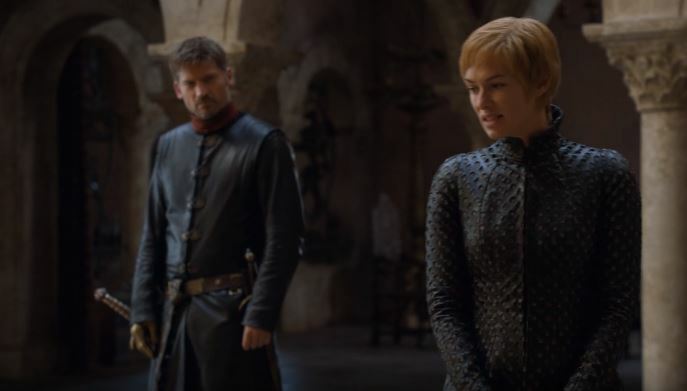 Jaime, being the more rational Lannister twin, points out she’s not in the best bargaining position after literally blowing up all her allies last season. This points rather cleverly to the differing directions the incestuous Lannister twins’ character arcs have gone. Cersei has gone full Mad Queen and refuses to listen to reason in a vein attempt to protect herself and her family. If you can remember all the way back to season 1, it was Jaime who refused to listen to reason and would do anything to protect himself, his sister and his family, namely by pushing Bran out of a window. But during their conversation, you’ll have noticed Jaime try to bring up the death of their son, King Tommen. Cersei brazenly brushes it aside saying the past is the past and describes how she wants to build a dynasty. The problem is, their dynasty died with Tommen. 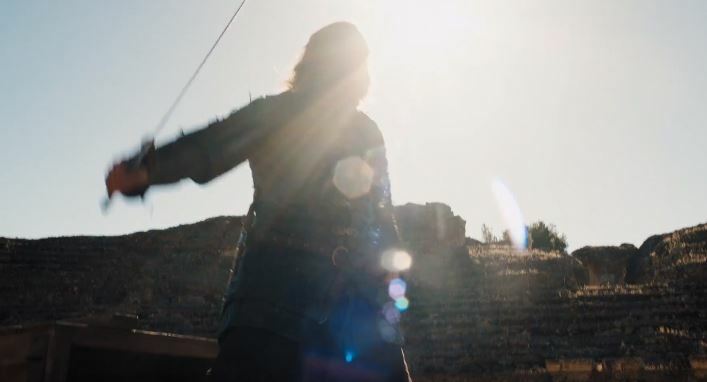 The Mad Queen’s paranoia and psychosis were on show for all to see as Jaime tried to speak about his son’s death while she could not care less that she drove her son to commit suicide and Jaime’s character arc comes full circle. He began Game of Thrones pushing Bran out of a window and feeling nothing. Now he has to come to terms with his own son’s death but can confide in nobody. Could Jamie finally snap and kill the Mad Queen as he killed the Mad King? Probably, especially as Cersei has invited Euron Greyjoy to be her ally against Daenerys and her armada. Oh and the other thing you might have missed from Jaime and Cersei’s conversation on the map of Westeros was Jaime’s proclamation that he has that map burned into his memory. 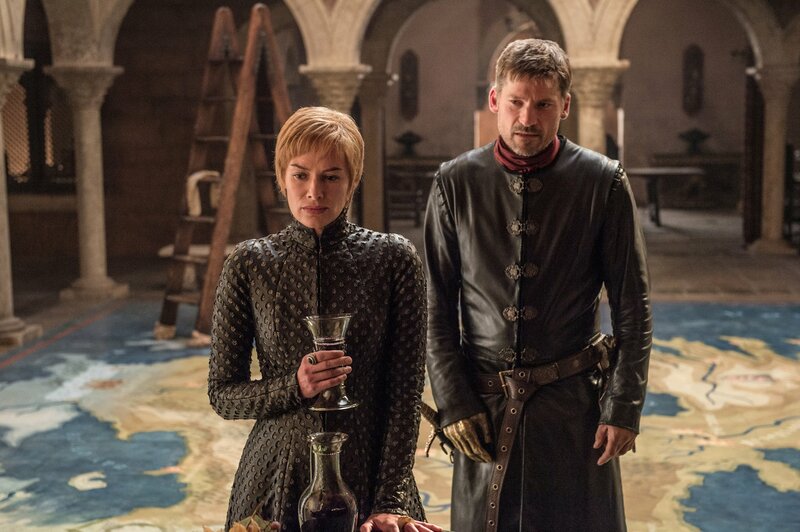 Given the clear distancing of himself from Cersei, and Jaime’s obvious skill in organised and large military command, don’t think it beyond this series that Jaime heads north to help Jon Snow, a less seasoned military commander, in defeating the Army of the Dead. Anyway, as Cersei plots to defeat her living enemies, Sam in Oldtown works with Archmaester Marwyn to defeat the only enemy that matters, The White Walkers. He even stole a book that confirms Dragonstone has a rich supply of, you guessed it, dragonglass, cementing the fact Jon and Daenerys will be allying at some point. 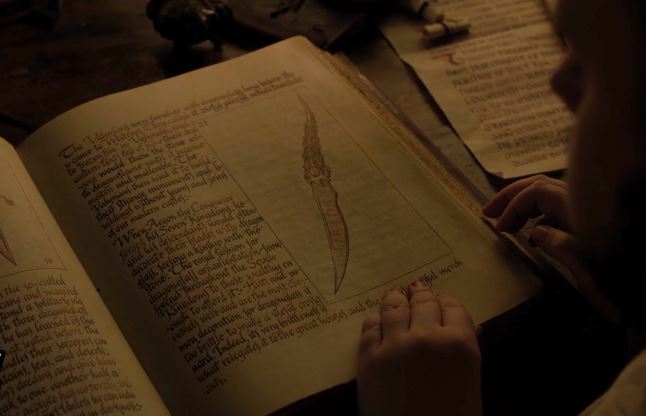 You might not have noticed however that the blade on the page before the dragonstone discovery is The Cat’s Paw. For those that can’t remember, that’s the same dagger used by the assassin that was sent to kill Bran all the way back in season 1. It first belonged to Littlefinger, was taken by Ned Stark to King’s Landing and is now somehow back in Littlefinger’s possession. It goes some way to confirming the catspaw theory that Littlefinger convinced Joffrey to send an assassin to kill Bran and not any of the Lannisters. Whether that’ll be found out during the remainder of the show, remains to be seen. Sam isn’t the only old favourite in Oldtown though as poor Jorah Mormont is out of the friend zone and into the fire it seems with his Greyscale being treated by the maesters with what looks to be minimal success so far. As we all know, Game of Thrones doesn’t spare characters just because the audience likes them but it’d be a surprise to see Jorah not get cured. Although he’ll probably be horribly scarred like the Princess Shereen, if you can remember her. 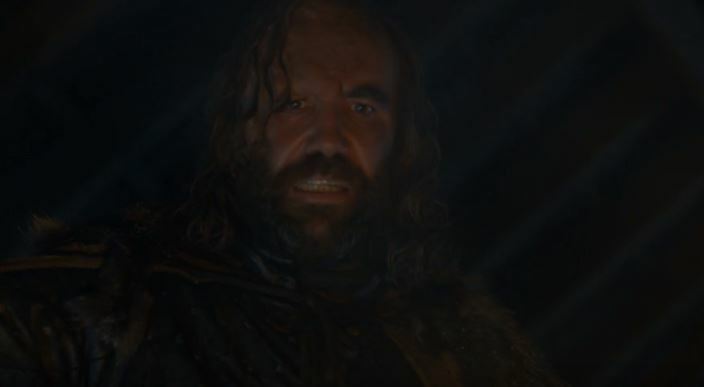 Of course, one character who’s already horribly scarred, emotionally and physically, is Sandor Clegane, better known as The Hound, who’s heading up North with the Brotherhood Without Banners. Interestingly, he appears to have something of a religious awakening seeing things in the flames, like the Lady Melisandre, including the undead finally breaching The Wall. There’s a nice nod to the ‘Gravedigger Fan Theory’ as well, with Sandor choosing to dig graves for a family of peasants despite him not knowing the prayer to The Seven. You might not have noticed that the house the Brothers Without Banners went to was actually the same house Sandor Clegane and Arya visited together when he stole their silver. Has The Hound grown a conscience and found a purpose to live beyond death? Finally, because let’s be honest she was never going to be early was she, Daenerys arrives in Westeros at her family’s ancestral seat Dragonstone proclaiming ‘Shall we get started’. All in all, ‘Dragonstone‘ was a typical Game of Thrones opener setting up the pieces for the action ahead which appears to be all out war between the living before the dead finally arrive at the end of the season. Let’s just hope they get a shift on.